Unexpected emergencies and medical urgencies are inevitable on a journey. God forbid you may face an accident or baggage loss during a foreign trip or any other journey. The loss cannot be regained; however, you can get a compensation for your loss if you have a travel insurance policy. Moreover, you can get a reimbursement of a certain amount on cancellation of an expensive trip. 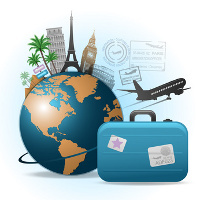 So, protect your trip before you leave by applying for a travel insurance policy. For the best services, feel free to dial the numbers of Pioneer Holidayz. We are engaged in offering exceptional travel insurance services to the tourists across New Delhi (India).